Mirroring the rise of API-driven applications, realtime is becoming an emerging, omnipresent force in modern application development. It is powering instant messaging, live sports feeds, geolocation, big data, and social feeds. But, what is realtime and what does it really mean? What types of software and technology are powering this industry? Let’s dive into it. For the more technical audience, realtime traditionally describes realtime computing, whereby “hardware and software systems are subject to a realtime constraint, for example from event to system response” (Source). For this article, we’re framing realtime from the perspective of an end-user: the perception that an event or action happens sufficiently quickly to be perceived as nearly instantaneous. Moreover, realtime could be defined in a more relative temporal sense. It could mean that a change in A synchronizes with a change in B. Or, it could mean that a change in A immediately triggers a change in B. Or… it could mean that A tells B that something changed, yet B does nothing. Or… does it mean that A tells everyone something changed, but doesn’t care who listens? Let’s dig a bit deeper. Realtime does not necessarily mean that something is updated instantly (in fact, there’s no singular definition of “instantly”). So, let’s not focus on the effect, but rather the mechanism. 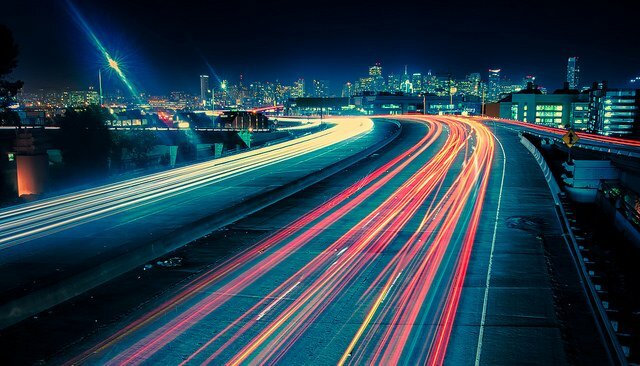 Realtime is about pushing data as fast as possible — it is automated, synchronous, and bi-directional communication between endpoints at a speed within a few hundred milliseconds. Synchronous means that both endpoints have access to data at the same time. Bi-directional means that data can be sent in either direction. Endpoints are senders or receivers of data (phone, tablet, server). A few hundred milliseconds is a somewhat arbitrary metric since data cannot be delivered instantly, but it most closely aligns to what humans perceive as realtime (Robert Miller proved this in 1986). With this definition and its caveats in mind, let’s explore the concept of pushing data. We’ll start by contrasting data push with “request-response.” Request-response is the most fundamental way that computer systems communicate. Computer A sends a request for something from Computer B, and Computer B responds with an answer. In other words, you can open up a browser and type “reddit.com.” The browser sends a request to Reddit’s servers and they respond with the web page. In a data push model, data is pushed to a user’s device rather than pulled (requested) by the user. For example, modern push email allows users to receive email messages without having to check manually. Similarly, we can examine data push in a more continuous sense, whereby data is continuously broadcasted. Anyone who has access to a particular channel or frequency can receive that data and decide what to do with it. 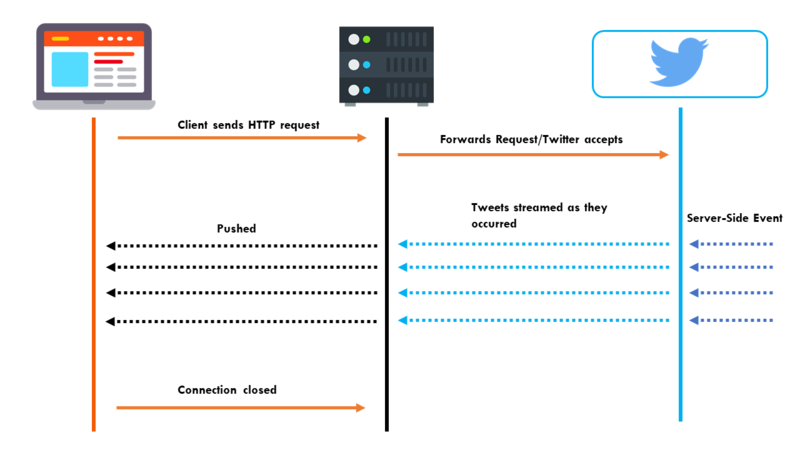 HTTP streaming provides a long-lived connection for instant and continuous data push. You get the familiarity of HTTP with the performance of WebSockets. The client sends a request to the server and the server holds the response open for an indefinite length. This connection will stay open until a client closes it or a server side-side event occurs. If there is no new data to push, the application will send a series of keep-alive ticks so the connection doesn’t close. WebSockets provide a long-lived connection for exchanging messages between client and server. Messages may flow in either direction for full-duplex communication. 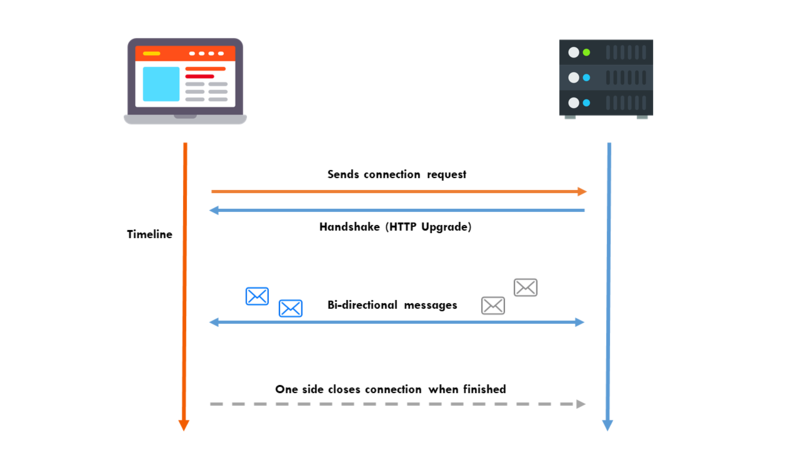 This bi-directional connection is established through a WebSocket handshake. Just like in HTTP Streaming and HTTP Long-Polling, the client sends a regular HTTP request to the server first. If the server agrees to the connection, the HTTP connection is replaced with a WebSocket connection. Webhooks are a simple way of sending data between servers. No long-lived connections are needed. The sender makes an HTTP request to the receiver when there is data to push. 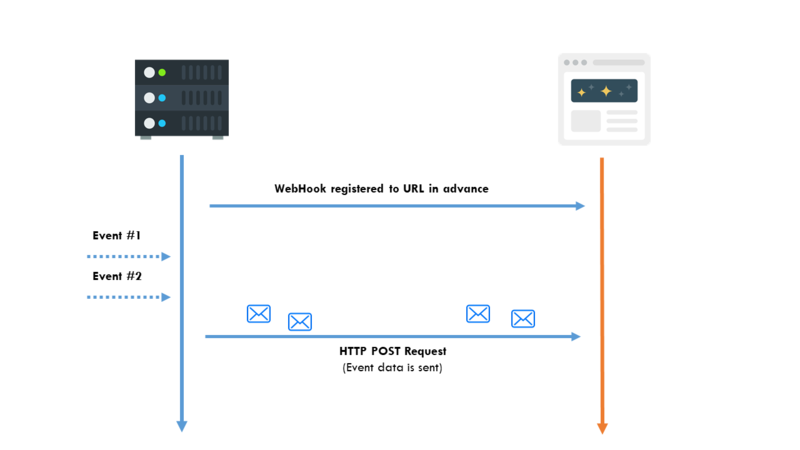 A WebHook registers or “hooks” to a callback URL and will notify you anytime an event has occurred. You register this URL in advance and when an event happens, the server sends a HTTP POST request with an Event Object to the callback URL. This event object contains the new data that will be pushed to the callback URL. 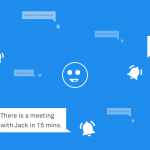 You might use a WebHook if you want to receive notifications about certain topics. It could also be used to notify you whenever a user changes or updates their profile. HTTP long-polling provides a long-lived connection for instant data push. It is the easiest mechanism to consume and also the easiest to make reliable. This technique provides a long-lived connection for instant data push. The server holds the request open until new data or a timeout occurs. Most send a timeout after 30 to 120 seconds, it depends on how the API was setup. 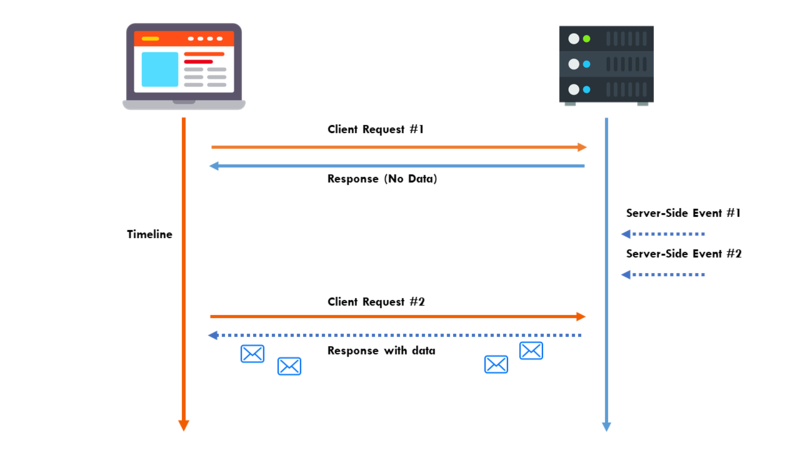 After the client receives a response (whether that be from new data or a timeout), the client will send another request and this is repeated continuously. 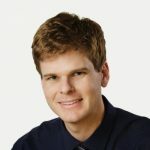 Is pushing data hard? Yes, it is, especially at scale (ex. pushing updates to millions of phones simultaneously). To meet this demand, an entire realtime industry has emerged, which we’ll define as Realtime Infrastructure as Service (Realtime IaaS). We often here PaaS (Platform as a Service) and SaaS (Software as a Service), so how are they different than IaaS? Infrastructure as a Service (IaaS): hardware is provided by an external provider and managed for you. Platform as a Service (PaaS): both hardware and your operating system layer are managed for you. Software as a Service (SaaS): an application layer is provided for the platform and infrastructure (which is managed for you). Customer Uptime Demand – Customers that depend on realtime updates will immediately notice when your network is not performant. Horizontal Scalability – You must be able to handle volatile and massive loads on your system or risk downtime. This is typically achieved through clever horizontal scalability and systems that are able to manage millions of simultaneous connections. Architectural Complexity – Maintaining a performant realtime system is not only complex, but it requires extensive experience and expertise. This is expensive to buy, especially in today’s high demand engineering market. Contingencies – Inevitably, your system will experience some downtime, whether due to an anticipated load spike or a newly released feature. It is important, therefore, to have multiple uptime contingencies in place to make sure that the system knows what to do, should your primary realtime mechanism fail to perform. 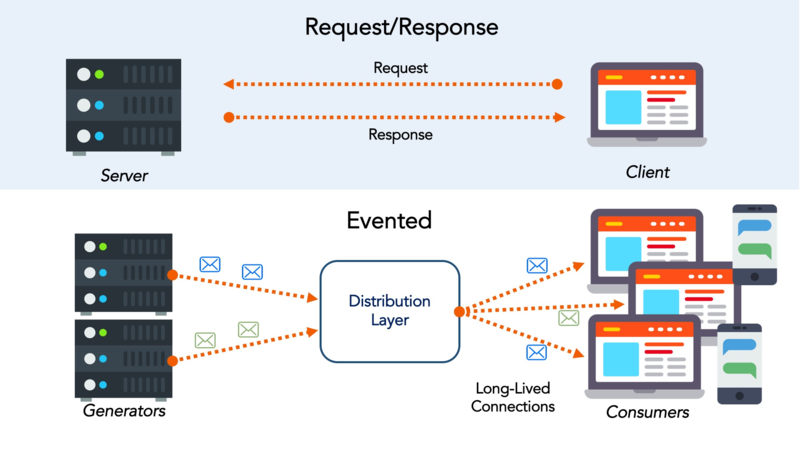 Queuing – When you’re sending a lot of data, then you likely need an intermediate queuing mechanism to ensure that your backend processes are not overburdened with increased message loads. Realtime app infrastructure sends data to browsers and clients. It typically uses pub/sub messaging, webhooks, and/or websockets — and is separate from an application or service’s main API. These solutions are best for organizations that are looking for realtime messaging without the need to build their own realtime APIs. These systems also have more well-built platform/software management tools on top of their infrastructure offerings. For instance, the leading providers have built-in configuration tools like access controls, event delegation, debugging tools, and channel configuration. Speed – typically explicitly designed to deliver data with low latencies to end-user devices, including smartphones, tablets, browsers, and laptops. Multiple SDKs for easier integration. Uses globally distributed realtime data delivery platforms. Keeps internal configuration to a minimum. Realtime Chat – In a microservice environment, a realtime API proxy makes it easy to listen for instant updates from other microservices without the need for a centralized message broker. Each microservice gets its own proxy instance, and microservices communicate with each other via your organization’s own API contracts rather than a vendor-specific mechanism. IoT Device Control – Securely monitor, control, provision and stream data between Internet-connected devices. Geotracking / Mapping Realtime Updates – Integrates with other realtime APIs like (Google Maps) to construct rich realtime updates. Multiplayer Game Synchronization – Synchronize communications amongst multiple simultaneous players to keep play fluid. Here are some realtime application IaaS providers (managed) to check out for further learning: PubNub, Pusher, and Ably. Realtime API infrastructure specifically allows developers to build realtime data push into their existing APIs. Typically, you would not need to modify your existing API contracts, as the streaming server would serve as a proxy. The proxy design allows these services to fit nicely within an API stack. This means it can inherit other facilities from your REST API, such as authentication, logging, throttling, etc and, consequently, it can be easily combined with an API management system. In the case of WebSocket messages being proxied out as HTTP requests, the messages may be handled statelessly by the backend. 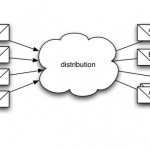 Messages from a single connection can even be load balanced across a set of backend instances. All in all, realtime API IaaS is used for API development, specifically geared for organizations that need to build highly-performant realtime APIs like Slack, Instagram, Google, etc. All of these orgs build and manage their infrastructure internally, so the IaaS offering can be thought of as a way to extend these capabilities to organizations that lack the resources and technical expertise to build a realtime API from scratch. Custom build an internal API. Works with existing API management systems. Does not lock you into a particular tech stack. Provides realtime capabilities throughout entire stack. Usually proxy-based, with pub/sub or polling. Add realtime to any API, no matter what backend language or database. Cloud or self-hosted API infrastructure. It can inherit facilities from your REST API, such as authentication, logging, throttling. API development – As we’ve discussed, you can build custom realtime APIs on top of your existing API infrastructure. Microservices – In a microservice environment, a realtime API proxy makes it easy to listen for instant updates from other microservices without the need for a centralized message broker. Each microservice gets its own proxy instance, and microservices communicate with each other via your organization’s own API contracts rather than a vendor-specific mechanism. Message queue – If you have a lot of data to push, you may want to introduce an intermediate message queue. This way, backend processes can publish data once to the message queue, and the queue can relay the data via an adapter to one or more proxy instances. 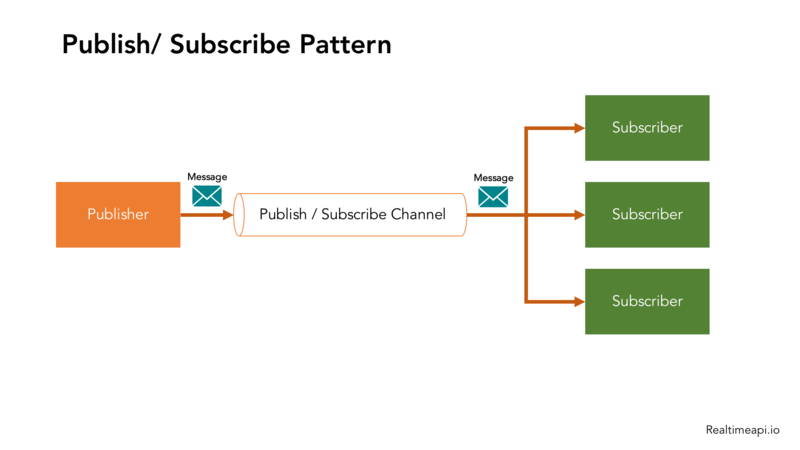 The realtime proxy is able to forward subscription information to such adapters, so that messages can be sent only to the proxy instances that have subscribers for a given channel. API management – It’s possible to combine an API management system with a realtime proxy. Most API management systems work as proxy servers as well, which means all you need to do is chain the proxies together. 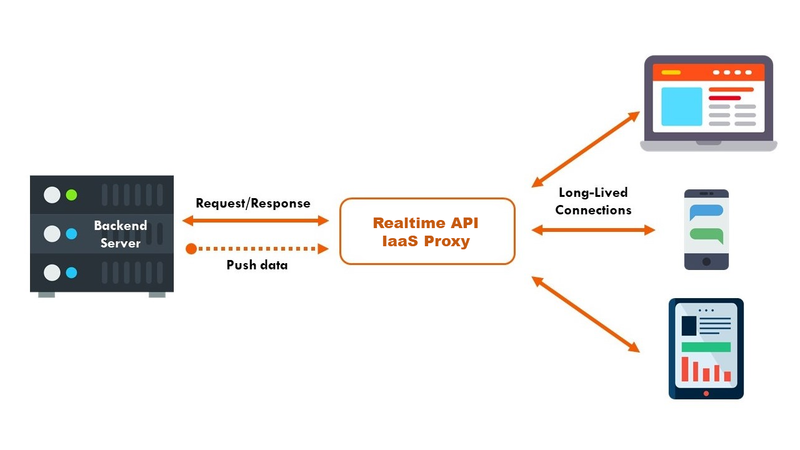 Place the realtime proxy in the front, so that the API management system isn’t subjected to long-lived connections. Also, the realtime proxy can typically translate WebSocket protocol to HTTP, allowing the API management system to operate on the translated data. Large scale CDN performance – Since realtime proxy instances don’t talk to each other, and message delivery can be tiered, this means the realtime proxy instances can be geographically distributed to create a realtime push CDN. Clients can connect to the nearest regional edge server, and events can radiate out from a data source to the edges. Here are some realtime API IaaS providers (managed/open source) to check out for further learning: Fanout/Pushpin, Streamdata.io, and LiveResource. Realtime is becoming an emerging, omnipresent force in modern application development. It is not only a product differentiator, but is often sufficient for product success. It has accelerated the proliferation of widely-used apps like Google Maps, Lyft, and Slack. Whether you’re looking to build your own API from scratch or build on top of an IaaS platform, realtime capabilities are increasingly becoming a requirement of the modern tech ecosystem.